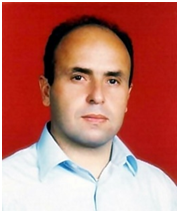 Kerim AYDINER is Associate Professor at Mining Engineering Department of Karadeniz Technical University. He holds PhD (2001) from Middle East Technical University (METU) of Turkey, M.Sc. (1993) from Anatolia University (AU) of Turkey and B.Sc. (1990) from Anatolia University (AU) of Turkey. Kerim AYDINER works currently at Karadeniz Technical University and has experience in research, education, consulting and industry practice. He is a member at Association of Mining Engineers of Turkey. Underground Mining Systems, Rock Mechanics, Rock Dynamics and Failure, Excavation Design, Excavation Support Systems, Rock Cutting, Tunneling, TBM Excavation Performance, Use of Underground Spaces, Mineral Carbonization, Carbondioxide Sequestration.